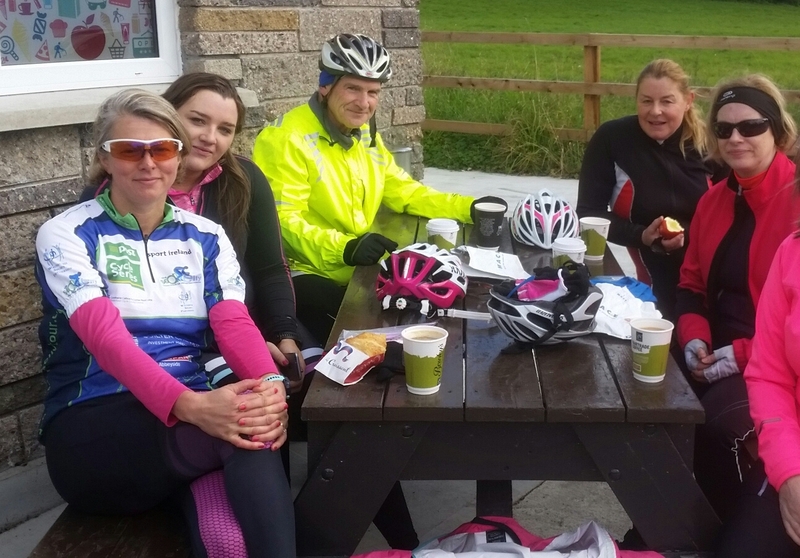 Back in June when Marion and I cycled the Tour de Burren, we noticed a large number of the Paracycling Ireland team participating. Colin mentioned to me that about that time he spent seven weeks in Mallorca getting used to riding in hot weather in preparation for Rio, and look how that worked out for him! I tweeted my congratulations to world champion Colin Lynch during the week, and later he very kindly answered some email queries for me. The general public do not really know much about Colin Lynch, and many within the Irish cycling community may not be up to speed either. So, while I tackle some of the majestic roads of Mallorca (and write it up later, of course), it is fitting that I acknowledge Colin’s exploits. 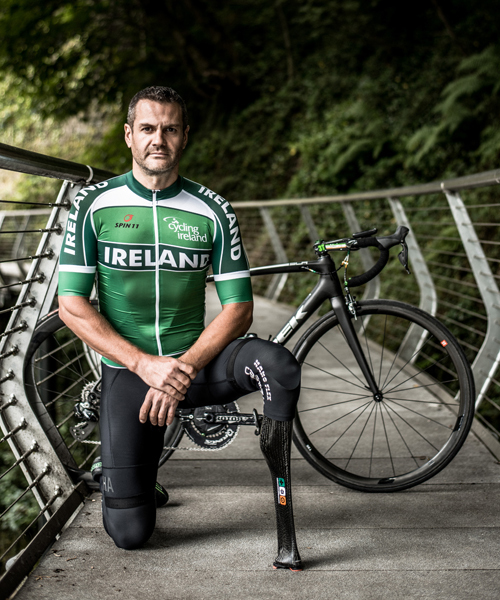 Colin represented Ireland very successfully at the recent Rio Paralympic Games, taking home a silver medal and followed this up by taking the Hour Record last week. He will go down in history as the very first UCI officially-recognised winner. While my cycling is at a predominantly leisure and endurance level, I am mindful of super-achievers too. 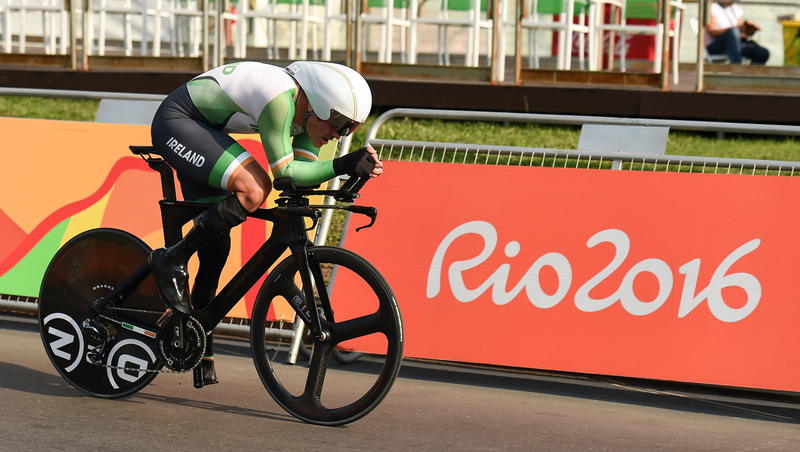 A silver medal winner at the Paralympic Games in Rio, Colin Lynch has added another special piece of history to his palmares in breaking the hour record. His 43.133km marker is the first paracycling hour record ever officially recognised by the UCI. But the former world champion also bettered by 2km the unofficial record set by France’s Laurent Thirionet in 1999 in the C2 category. He has also collected a range of other top achievements since making his international debut including taking the road TT title in Denmark in 2011 and the individual pursuit at the track Worlds in LA four years ago. He went into the London Paralympics on the back of those results and was bitterly disappointed to be pipped for a medal in the bronze medal ride-off by a mere 1/10th of a second. “That was the hardest thing I’ve ever done,” he said after what looked like a savage effort. When I contacted him with some queries, I was not surprised to learn that his mantra is “pain today means glory tomorrow.” The glory arrived after an hour of pain, achieved after months and years of hard graft. It was near-perfect for the first 40 minutes but the last 20 minutes is where it really starts to hurt. With about five minutes to go I knew I was going to beat the record and was hanging on to make sure I set a strong new mark. I hope the record will stand for a while now, but also hope this will start other paracycling riders in all categories to test the record books. 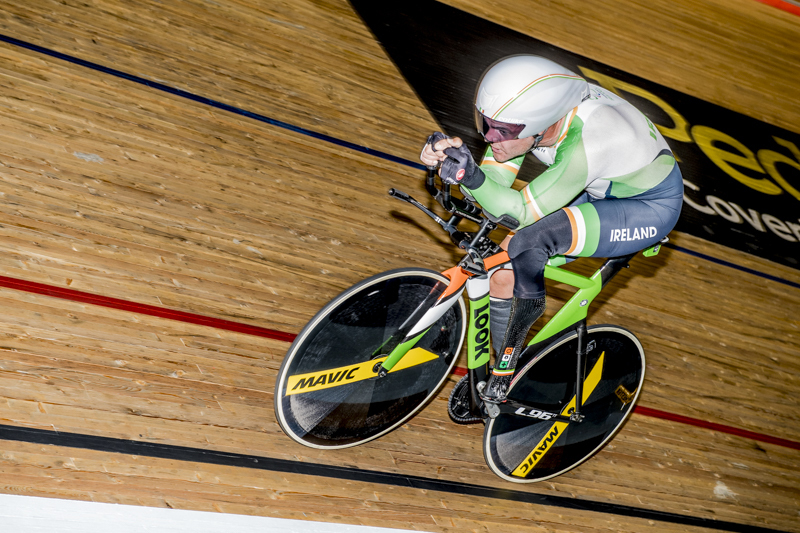 UCI president Brian Cookson extended his congratulations, saying Lynch’s achievement would “stand in history as the first ever paracycling UCI hour record”. Many athletes are driven to overcome major obstacles. Even at local level, I am aware of some cyclists who enjoy their sport (not only cycling, of course) despite some physical difficulties. Recently, on the Waterford Greenway, I have seen some who are able to continue cycling using adapted bikes. The human spirit is strong enough to continue despite these difficulties. Today’s group spin headed towards the eastern part of County Waterford. That’s pretty unusual, but cyclists will understand why. Generally, as Ireland has a prevailing south-westerly wind, we like to return to Dungarvan from that direction to ensure we have the wind behind us just when the bodies are beginning to get tired. Cyclists prefer to have the headwind for the first half of the spin rather than the other way round. Fussyboots! So, off they set into the east. Also unusual today was that I stayed home, had a big Irish fry-up breakfast, and afterwards spent some time gazing out the back window in “I-wonder-where-are-they-just-now” mode. I finished most of the housework but was unable to complete the hoovering, due to balance issues. No photo available, but by all accounts it was “Another Super Sunday”. 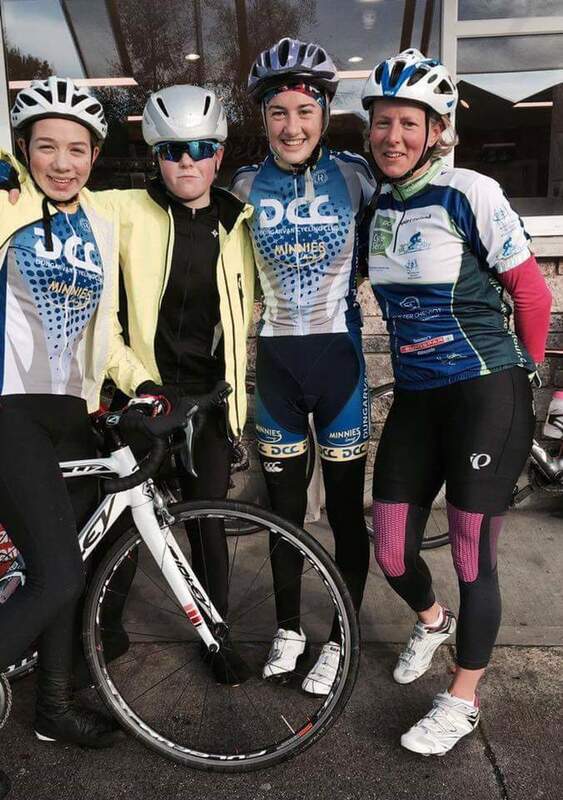 Prior to this spin, Dungarvan Cycling Club presented the proceeds of the Recent Charity cycle to Nadine’s Cancer Battle. The club held a fund-raising spin two weeks ago. I googled “Scrouty” and got lots of videos, strava profiles and other stuff, but the one that caught my eye was Dungarvan CC notes from July 2013.